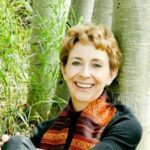 Martha Beck is an American sociologist, life coach, best-selling author, and speaker who specializes in helping individuals and groups achieve personal and professional goals. Her books include Expecting Adam, Leaving the Saints, Finding Your own North Star, The Joy Diet, and her newest book, Diana, Herself: An Allegory of Awakening. She has also been a columnist for O, The Oprah Magazine since its inception in 2001. Her newest project is a revolutionary writing workshop called Write into Light. -The birth of her son and her decision to pursue joy no matter what the circumstances and no matter what anyone else thought. -The comparison between a destructive tsunami destroying long-standing buildings and structures and a surfer taking the ride of his life. -The frightening, but profound decision that people can make to take risks by following their joy. -The “Man Cage” and how men are heavily socially pressured to do what worked before. -The importance of finding balance through joy. -How difficult it can be to let go of the “factory mindset” of society and to trust that magic will guide you. -Making sure to rest your body, otherwise you will lose touch with it. -Why she started Write into Light. -The responsibility that artists have to change culture when the culture they are living in is unsatisfactory. -The idea of using writing to heal yourself, and then to spread that healing power to the rest of the world. -How she spent all of her money on a ranch in California and became immersed in nature. -To prepare yourself for criticism from the people around you when you go against culture, and to try to surround yourself with supportive people who understand where you are coming from and what you are trying to tap into. Martha’s Final Push will inspire you to ask yourself (without judgment) what you were meant to do with your life and then find a way to do that thing. Join our community on our Facebook group! I love this woman! She is and has been a great inspiration in my life and in my art. What a great podcast! Having her as a guest is brilliant in so many ways! Now I know you exist and can’t wait to explore after I finish this message! Thanks!